When people think of California, they don’t always think of farmland dotted with small towns. But in Kings County, homeowners know just how picturesque their home sweet home can be. If you’re one of the many homeowners whose property has depreciated in value, though, it may be time to sell. That’s where Osborne Homes comes in. Has Your Home Depreciated in Value? Sell it to Us—Fast. We buy homes. Run-down homes, rental homes, homes facing foreclosure—it doesn’t matter why your home is hard to sell, buying it is our business. And we’ll buy it fast, in as little as seven days. We’ve been doing this for over a decade. Our staff is ready and waiting to give you a fair valuation, complete an inspection, open an escrow account, and close on your house in a snap because we have the capital on hand to pay you cash. It doesn’t matter what condition your home is in or why you need to sell it fast—come to us first. Market listings take time; you need to show your home, wait for a serious buyer, and go back and forth during the negotiating process. Why not just sell it for a fair price right off the bat? And when you sell your home to us, you won’t pay any real estate agent fees. When you need to sell a home in Kings County for a fair price, fast, Osborne Homes is your go-to buyer. We’ll make the process easy and profitable for you. It’s simple, really. Just give us a call or complete our contact form. A purchasing agent who can walk you through the sale process will quickly get back to you. We’ll visit your property, take pictures, and determine its valuation in order to make you a fair offer. Then we’ll put together a simple purchase agreement, set a close date, and ensure all inspections are done. Finally, we’ll send your funds to an escrow account and close the sale. There you have it—a fair offer for your home, paid in cash, in as little as a week. It’s what we pride ourselves on: making the home selling process as quick and easy as possible for you. Selling a Home in Kings County Doesn’t Have to Be Hard. As much as we all love Kings County, the truth is, homes have been depreciating here for about ten years now. This is tough news for people who may owe more on their mortgage than their home is currently worth. A lot of the area’s jobs are seasonal, and it’s easy to fall behind on payments. But you don’t have to struggle. Don’t wait until your home is sold at a foreclosure auction. Sell it for cash now. Even if you’re upside down on your mortgage and need to sell your home quickly, you can still get a fair offer from us. If your home has become a big problem for you, it’s okay. Solving problems is our business. Why Kings County Homeowners Sell Us Their Homes. Are you getting ready to retire and downsize? 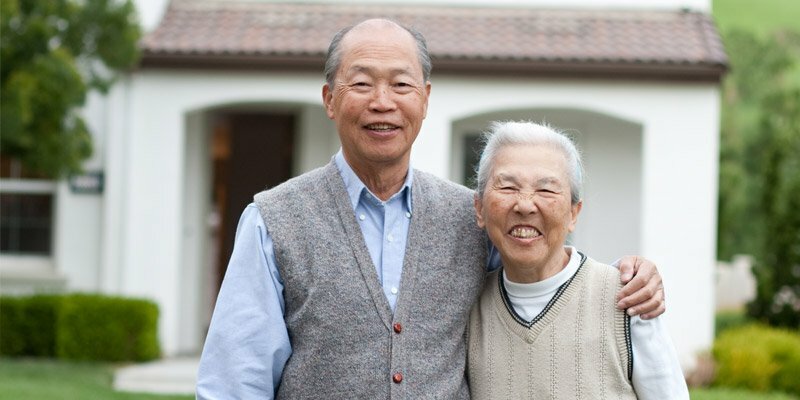 Sell us your home quickly and easily so you can enjoy your golden years. Did you inherit a home you don’t intend to live in or rent out? We’ll help you trade it in for fast cash. Is renting your property unprofitable? Don’t put up with late payments from tenants any longer. Get cash up front for your home with us. Is your home facing foreclosure? Do you owe more than it’s worth? Don’t wait until your home is foreclosed on or until your finances are in bad shape. Sell it to us now. Are you moving out of Kings County? Selling your home from a distance can be difficult. Don’t wait until you have moved to sell it. We’ll buy it from you now. Do you need to sell several properties? You don’t have to look for multiple buyers. We will buy each of your properties, fast. Are home repairs getting too expensive? Just sell it to us. No matter what condition it’s in, you won’t have to waste money on repairs. You’ve Done Enough Waiting. Let’s Start on Your Closing. Waiting months on end for the right buyer to come along is a thing of the past, because selling your property to Osborne Homes is quick. Call us now at (559) 500-3610, or fill out this form. The sooner we get started, the sooner you can close.